Despite the remarkable recent growth of ethical and Islamic finance there are few academic or professional courses that provide commercially-focused pragmatic training. Our executive education courses do exactly that and we invite you to to register for this masterclass, delivered in partnership with the University of St Andrews’ Centre for Responsible Banking & Finance, that will provide you with an introduction to responsible investing. Responsible investment is an approach to investing that aims to incorporate environmental, social and governance (ESG) factors into investment decisions, to better manage risk and generate sustainable, long-term returns. According to JP Morgan the responsible investment market is now worth around $23 trillion, with around half of all assets managed in Europe and more than a third in the U.S. An increased focus on sustainability within the UK’s investment community will result in the national responsible investment market growing by 173% by 2027 to reach £48bn (Triodos Bank). This one day course is designed for finance professionals and others, from across the business spectrum, seeking a comprehensive introduction to responsible investment. Developed and delivered by leading academic and industry practitioner the course provides a blended approach combining theory, technical guidance and practical implementation. The course introduces responsible investment as a new approach to traditional investment. The course explores the key principles of responsible investment, with a focus on ESG and impact investing, highlighting the key drivers behind the sector’s growth. The course will conclude with case studies highlighting best practice in the implementation of responsible investment strategies that will be delivered by industry expert(s). Bert Scholtens (1959) earned his Masters in Economics at the University of Groningen. After his graduation, he worked with the Postbank in Amsterdam. He defended his PhD on international financial intermediation at the University of Amsterdam in 1994. He became assistant professor at the University of Amsterdam before he was an associate professor at the University of Groningen. In 2004, he became a professor in Groningen. In 2012, he was appointed professor in St Andrews. 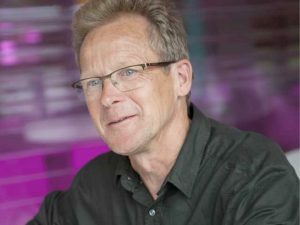 Bert Scholtens’ research is directed at international financial intermediation and environmental finance and economics. He focuses on finance, responsible investment and energy and publishes in international academic journals. He currently teaches about portfolio management, corporate governance, and credit risk analysis and coaches both Bachelor and Masters students in completing their thesis. He also supervises several PhD students, both in Groningen and St Andrews. 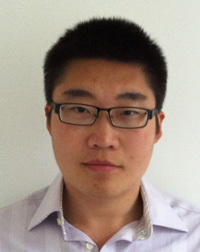 Jimmy is an Associate Lecturer in Banking and Finance in the School of Management, University of St Andrews. Jimmy completed his PhD in Finance in 2011 and MLitt in Finance and Management in 2007 at the University of St Andrews, and his BA (Hons) in International Business, Finance and Economics in 2006 at the University of Manchester.